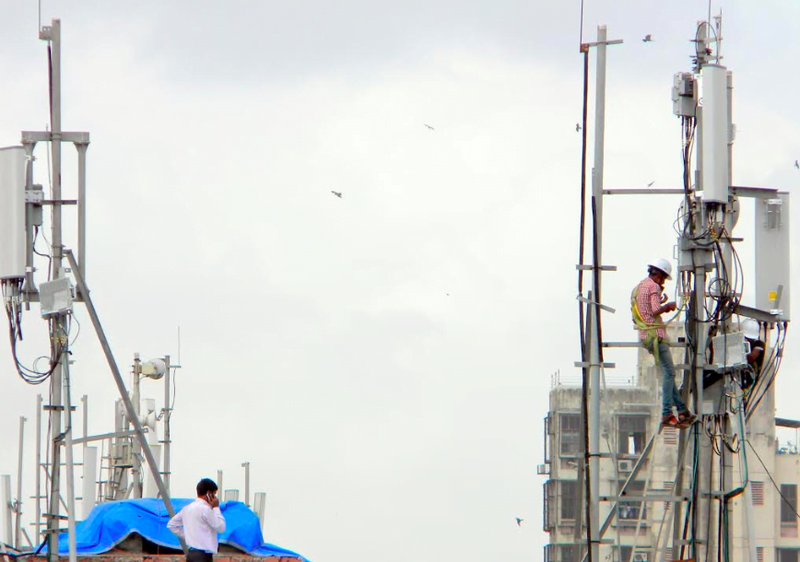 Indian Telecom Regulator Trai, has released its recommendations on rules and prices for the next round of spectrum auction, which also includes radio waves for 5G mobile services. The regulator has recommended that base price for bidding should be higher of the two figures 80% of the average valuation of spectrum band in the licensed service area or the price realised in the October 2016 auction. The government is yet to finalise the timing of the next round of auction. The regulator has recommended base price of Rs 3,285 per megahertz for 1800 Mhz band on pan India basis. In a relief to industry, the Telecom Regulatory Authority of India (Trai) has suggested that the “reserve price of 700 MHz band should be equal to 2 times of reserve price of 1800 MHz spectrum band” resulting in about 42% reduction in the price of this band at Rs 6,568 crore per Mhz. For 2016 auction, the government had fixed base price of 700 Mhz band at Rs 11,485 crore per Mhz. The price of spectrum in premium 700 megahertz band was fixed at four times the price of 1800 Mhz band- a frequency range which was famous as 2G spectrum earlier. In 2016, spectrum worth about Rs 4 lakh crore was put up for auction but there were no takers for this band due to its high price. The regulator has recommended a reduction of price in telecom circles where spectrum remained unsold in the last auction of 2016. Besides, it has issued recommendations for the proposed 5G spectrum in 3300-3600 Mhz band and suggested that “reserve price of 3300-3600 MHz band should be equal 30% of the reserve price of 1800 MHz FDD band” reports PTI. It has suggested that spectrum in 3300-3600 MHz band should be put up for auction in the block size of 20 MHz. “To avoid monopolisation of this band, there should be the limit of 100 MHz per bidder. Since the TSPs are allowed to trade their partial or complete spectrum holding to another TSP, the limit of 100 MHz spectrum in 3300-3600 MHz band, shall also apply for spectrum trading,” Trai said. As mentioned above, Trai did not reveal when the next spectrum auction will be held, but industry analysts and telcos are not ready for the next round of auction, thanks to the ongoing financial stress. This time the price is reasonably good for premium 700mhz band. AVOID should grab this with both hands. But TRAI should give some time for telecoms to gather their resources to buy new spectrum. Early next year is good time for auction. AVOID in total loss. Unless there is no price hike from Jio,AVOID won’t be able to rise the prices. I see 300-500 for 1GB daily packs(postpaid remaining same what is it now).If these get implemented,then AVOID will rise again in two years. Early next year is good time for auction. I don’t want to see Jios Monopoly either. I want to see only 850Mhz/900Mhz/1800Mhz/2100Mhz/23000Mhz/2500Mhz to be in auction. 5G can wait. First 5G phone won’t be out before June 2019(Motorola is launching but not so sure). Monopoly of any company is not good in any sector. So it’s better if we have 4 to 5 mobile service providers. We have right now 4. But where is BSNL heading? No 4G. 3G on paltry 5 MHz of band 1. No use of Band 5. Outdated 2G calls. No broadband at least 4Mbps PAN India. How is it going to survive? What are the chances of any new foreign operator? ?